The following blog post was written by a Misys employee. 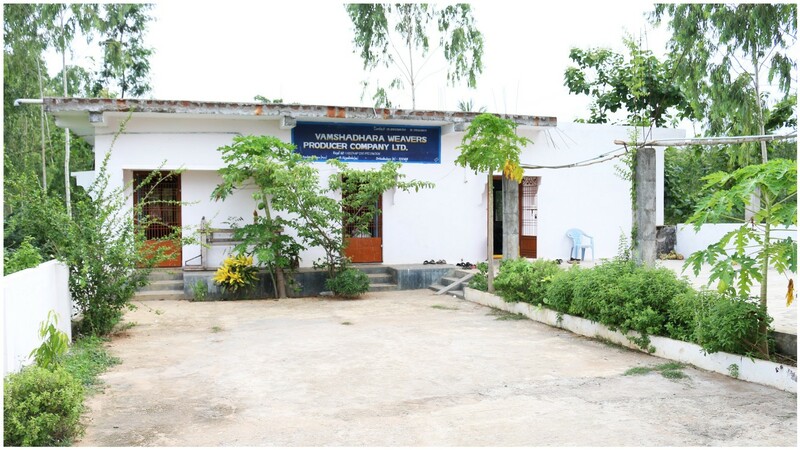 In July, our Mi-Care team, in collaboration with Rang De, planned a delightful weekend visit to Timbaktu Collective situated in the beautiful village of Chennekothapalli in Anantapur, an area infamously known for its drought prone status in the past. As part of a CSR initiative, a group of 25 enthusiastic volunteers experienced firsthand the results of the work being done by Rang De in the area as they have disbursed corporate funds to small-scale organic farmers under Timbaktu’s Dharani initiative. We started the journey from Bangalore around 6am and witnessed the beautiful countryside which has risen out of the hard work, dedication and passion of those at Timbaktu Collective, in particularly that of the organisation’s founder C K ‘Bablu’ Ganguly, a simple man who decided to organise efforts to give back to the nature year after year. After experiencing some good hospitality, we were given a presentation and an guided tour. It was an eye opener as we learned about how the barren, drought-hit area was converted into a forest over the past two decades. Timbaktu works with the villagers in order to ensure their basic needs are met while simultaneously ensuring a sustainable utilisation of natural resources. They have introduced affordable microcredit so that the farmers can become self-reliant and independent as well. They are also creating awareness on the importance of organic farming among 20,000+ farmers in 150 villages in Anatapur district. Bablu has succeeded in motivating and mobilising many market-oriented farmers who were previously using chemical fertilisers to switch to organic farming. Education and entrepreneurship forms the backbone of the society there and Timbaktu have been able to leave their mark by educating poor children and making poor families self-reliant and independent. Even differently abled members of society and women folk now have a life that they can be proud of as there were programmes catering to their need. The field visit has made all of us think, appreciate and acknowledge the efforts of Bablu and his team as they have embraced various challenges and difficulties over the years in their mission to convert an arid region into a forested one. For most volunteers, it was the first time that they experienced the reality of the villages and hardships of the farmers as well. We returned home in the night with an enriched experience, good memories and a commitment in the heart to preserve nature. We are happy to have partnered with Rang De who gave us a chance to support Dharani this year. Misys is one of our 26 corporate partners with the list ranging from start-ups to foundations. Please write to empathy@rangde.org to pursue any conversation on possible tie-ups with Rang De.